Family Pet Show Monroeville Convention Center - That Guy with the Birds! Family Pet Show Monroeville PA! 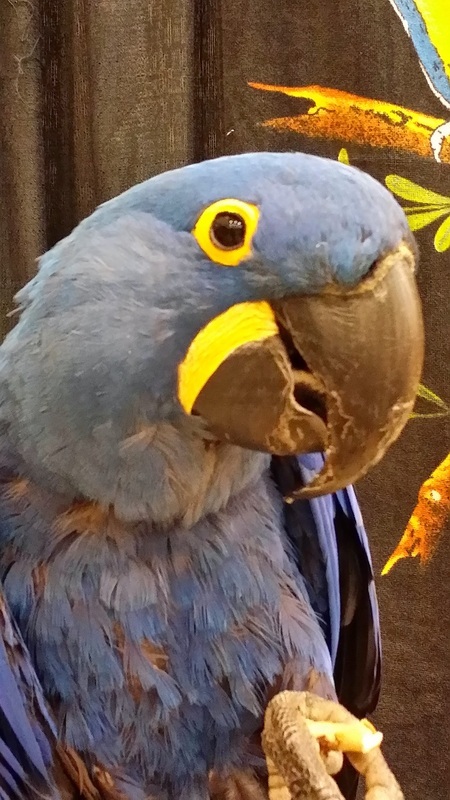 Becca the Hyacinth Macaw makes her Pet Show Debut!! Our thanks to Dennis and Karen from"Family Pet Shows" for putting on this show! This was their first year being here in the Pittsburgh area and we certainly do hope that they continue this event! Special thanks to Roy who always helps us get in and out with no problems. I couldn't do these shows without the great help that I have...... Linda....Kenny... Tami and Dana kept me relaxed. They do a great job with crowd control and making sure things go smoothly . Thank You----Thank You !!! Hope to see you all next time!! Pictures at Family Pet Show!